Its a tool, another CAT [Cybernetics (government) Analysis Tool], specifically. It's a pictorial representation of the acronym "WORLD" and was neo-acronymized as an answer to hearing the Bible quote ",I am in the world, but not of the world," enough times to think that it was being used as an excuse to resign responsibility for the location of the status quo (the way that things are) in the WORLD to any evilly purposed individual, or individuals. 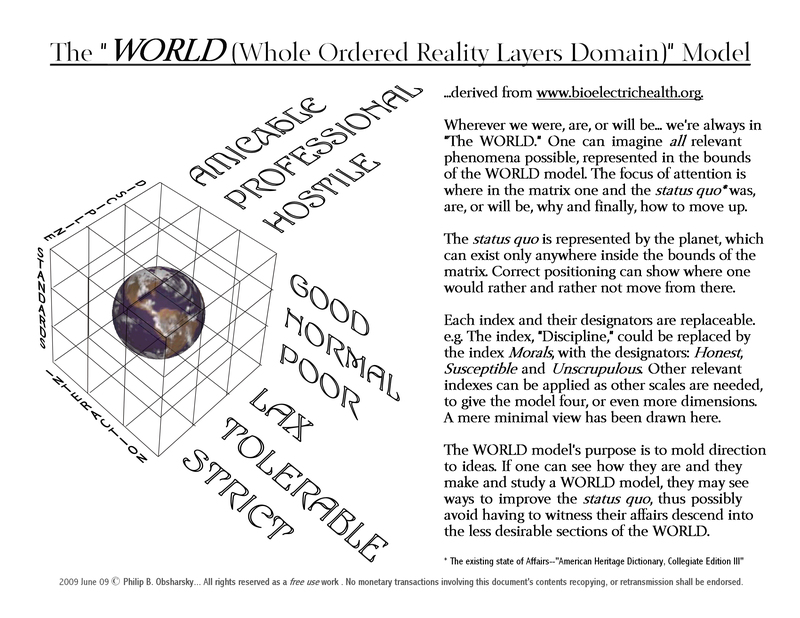 The WORLD model is a framework, depicted in the poster below, which is defined by parameters (guidelines), which include the extremes of experiential phenomena, which no individual can exist outside of, or beyond via any means. This means that wherever someone can possibly be, via any means, either physical, or supernatural is in the WORLD, depicted via this WORLD's model below. The WORLD's model's purpose is to help people obtain the idea that their fate has something to do with what they, themselves do, not just what they say, or think, so that they make more plans to do actions that maintain, or improve the matters that continually surround them. Thus, they may fair better against the profiteer and obscurant double team harvest of people's assets better, to the avail of all concerned. "T.H.E. Baseballegory" is a CAT [Cybernetics (government) Analysis Tool," which is modeled from the game of baseball, which is a sport that is played in some parts of the world, or possibly some parts of the WORLD, which is why this CAT is included on this page. 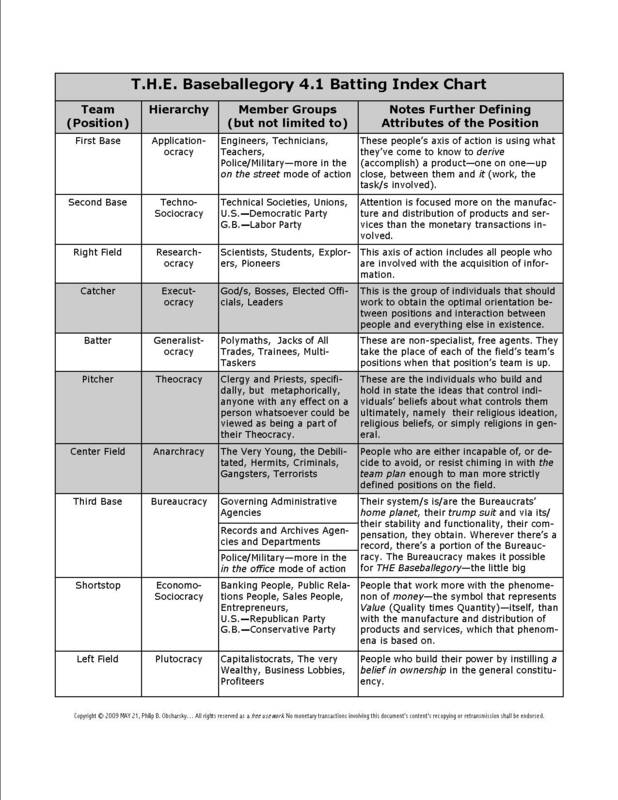 "T.H.E Baseballegory 4.1 Batting Index Chart" is also posted on the BASEBALLEGORY page.